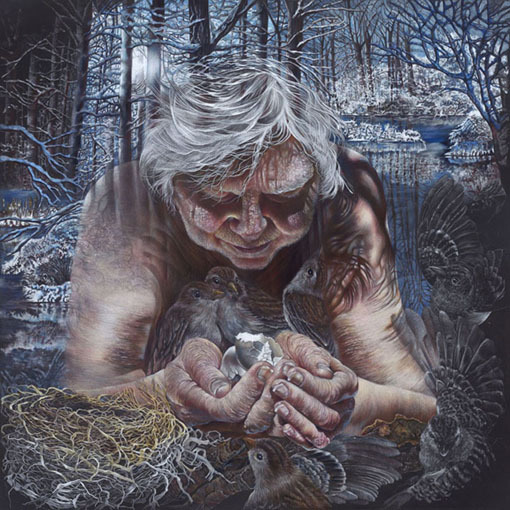 Where many only see wrinkled skin, fine artist and educator Cynthia Hellyer Heinz sees a canvas of beauty, wisdom, and wonder etched on the faces and bodies of the elderly people she is drawn to depict. Cynthia short circuits the stigma of aging in her series “Sacred Gifts,” inspired by her mother in whom she sees timeless beauty. This is great! A message the world needs to hear 🙂 aging is tough…in our culture.